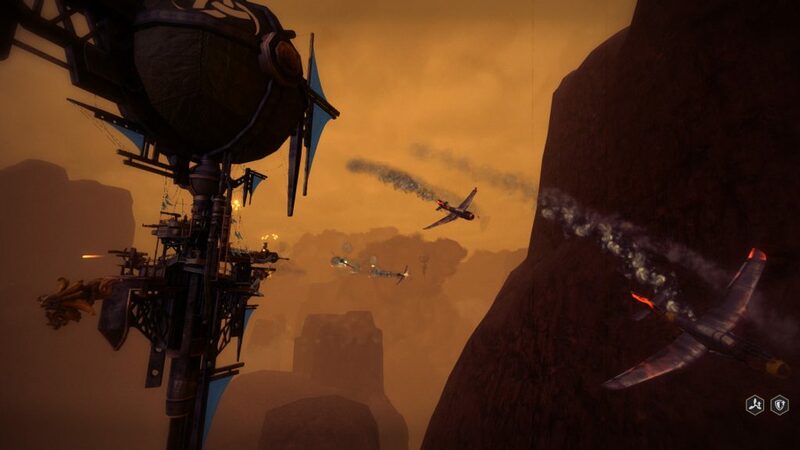 Guns of Icarus is all about flying airships and getting into epic battles in the sky. The game also features some of the best teamwork mechanics seen in modern multiplayer games. 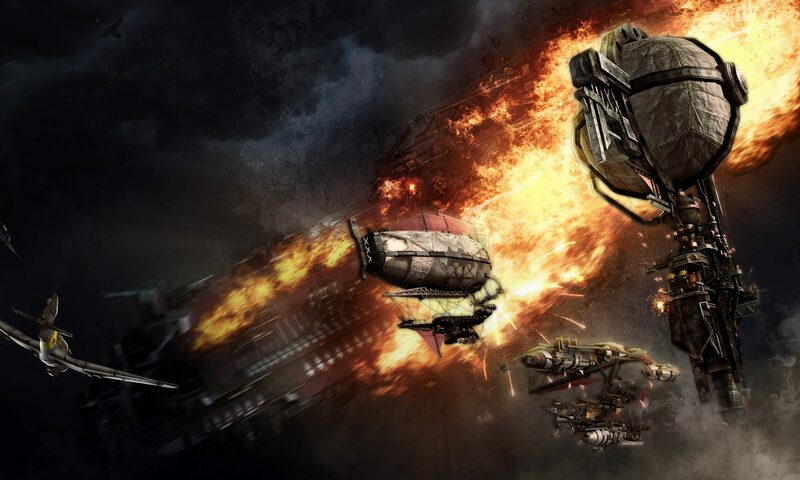 Each airship crew consists of four players who play as Pilot, Engineers and Gunners. 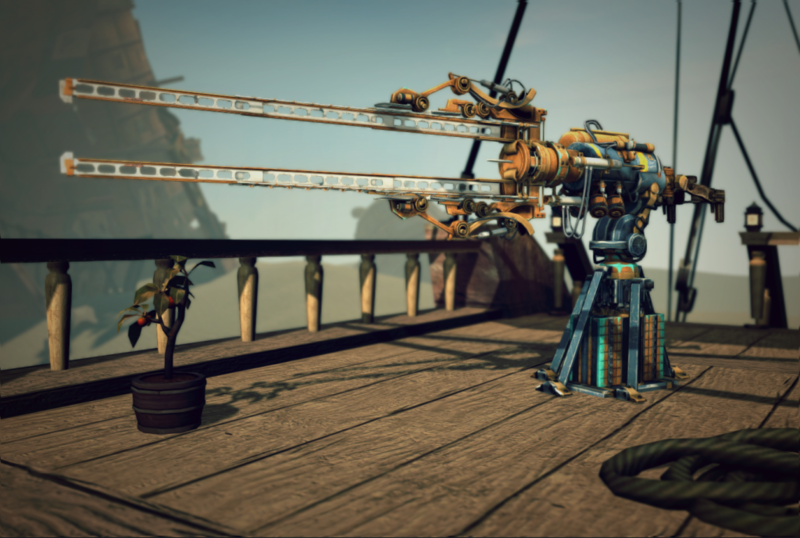 Communicate with your team so that the guns are pointed at the right targets, ship stays out of danger, and mission objectives can be completed. Crew members will be able to use their unique skills and specializations to ensure that the missions can be completed. Players can use text and voice chat as well as a unique voice command radio system. Even if real players can't hop aboard your airship in the wee hours of the morning, AI crew will gladly fill their spots and can be controlled by the voice command system. Grab your friends and set forth on an amazing journey! The game features both Co-Op PvE and PvP play. Both modes offer the same base airship and character customization options like choosing which dirigible to pilot, what guns to equip, and what tools to carry. A matchmaker is present to help you fill your crew, team airships, and even opponents. You can even join matchmaking as a group of friends. Otherwise, you can always create a custom match of your own. Fantastic AI director that will keep enemies spawning to give you a tough fight, or hold back when you're just about to die for the perfect difficulty. Fly with up to 1 to 16 players in a single match, or 1 ship to 4 ships on a single team! Many PVE specific game modes with unique objectives like Defense, Intercept, Search & Destroy, Infiltration, and Assault. Unique progression items unlocked by progressing through the factions. 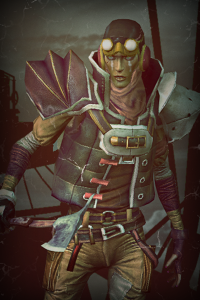 Be rewarded with fancy costumes, hats, guns, and airships with your loyalty! Take a greater part in the world meta game and push your faction to victory in the seasonal wars. Your actions will be remembered! 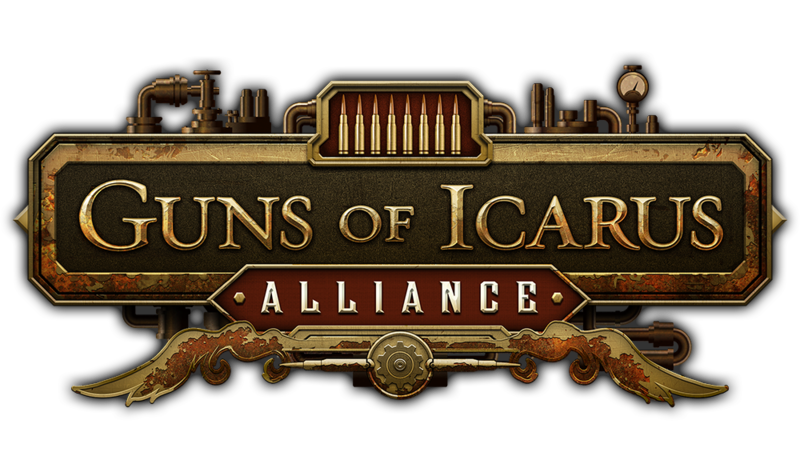 After each war, the highlights of individual player efforts, group strategic decisions, and roleplay will be recorded into a unique story for the Guns of Icarus history books. Matchmaking system to help you find the most suitable opponent. Game modes that accentuate the competitive nature of PVP like Deathmatch, King of the Hill, VIP, and Crazy King. Join matches where sizes range from 2 ship vs. 2 ship (2-8 players vs. 2-8 players) to 4 ship vs. 4 ship mayhem (4-16 players vs. 4-16 players). Still contribute to the greater world meta game by earning coins to buy reinforcements to send into territories! 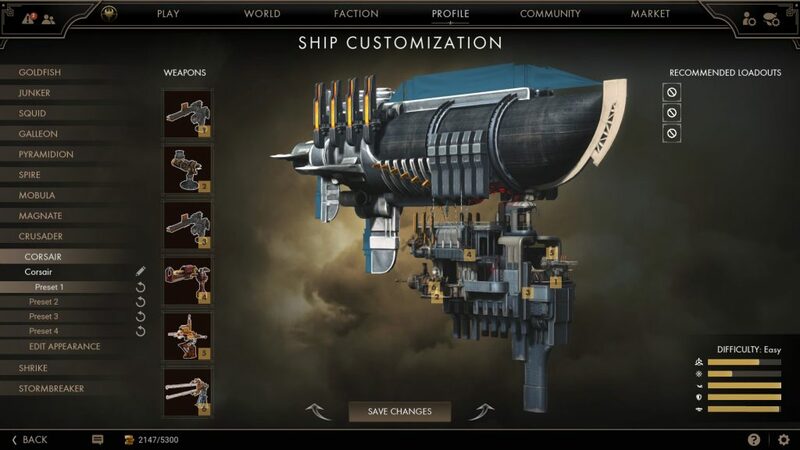 Guns of Icarus features a territory conquering meta game. Join a faction and start vying for resources scattered across the world. 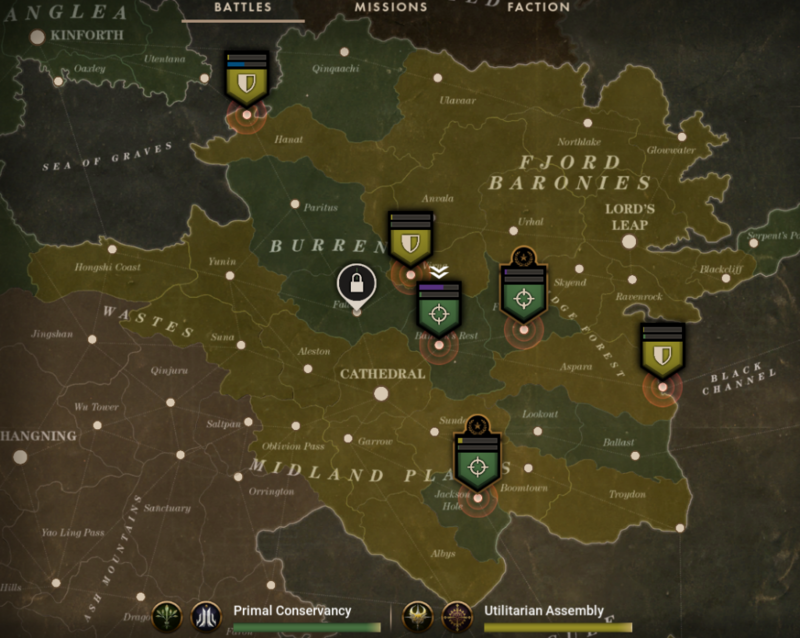 Use the world map to coordinate with your faction leaders to decide which locations are of utmost importance to completing your resource goals. Use a variety of strategies and tactics to ensure that your faction is victorious at each location, and in the world at large. When you reach your faction's resource goals, a war is triggered and factions will be divided into alliances. As an alliance, you can strategically vote for a war goal that fits your faction's story and motivation. By completing missions and competing over territories, all wars will eventually come to a close. However, not all is forgotten. We constantly have an eye on the game and will collect data to recognize milestones and individual player efforts in the wars to craft a unique story. Each war will be different and their histories forever remembered. 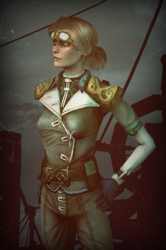 The Pilot steers the airship and normally serves as the captain of the vessel and is responsible for outfitting the right ship with the most suitable weaponry for the task at hand. Will the mission require in-your-face firefights? Or will it require slipping behind enemy? Whatever needs to be done, the Pilot has control of what ship and what guns are brought as well as where the ship is during the fight. If something is amiss, then crew members better let their pilots know! Maybe after a failure, it's wise to try out new loadouts. Or maybe try out a new pilot instead! When the ship is falling out of the sky (and it will be often), it's up to the trusty Engineer to patch up any holes. 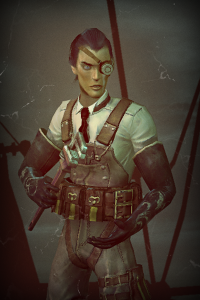 The Engineer specializes in rebuilding and repairing the various components aboard the airship. From guns, engines, and balloons, a lot of things will be taking damage during your time in the air. Bring the right repair tools for each situation like a trusty extinguisher to deal with fires or special wrenches that increase weapon firepower. Without engineers, the ship is going to have a hard time keeping afloat because everything will be on fire. Make sure to give your engineers a whole lot of love! Ah, how could you forget a Gunner? Even though the pilot and engineer can also jump on guns, or vice versa, no one can handle a gun better than those who have the right ammunition for a trick shot. Gunners carry specialty ammo that can be loaded into the ship's armaments to increase their power. Maybe there will be times where a little extra kick is needed to snipe a target in the distance. Maybe the next rounds need to explode with a little more oomph. Leave it to a gunner to figure out all the difference between this explosion and that explosion. Me? I can't tell you you the difference. It all looks deadly to me. Pilots can choose what ships to fly on and there are many to select. Each one has a different deck layout, gun position and sizing, maneuvering, as well as locations of critical components like the Hull and Balloon repair points. Find a ship that speaks to you and fits your play style. Discover the fastest path to the hull as an engineer speeding across the deck to make an emergency repair, coordinate your broadside firepower as a ammo-loading gunner, and learn best how to weave in and out of enemy fire as a pilot with a masterful tactical plan. Guns come in a variety of slot sizes as well as carry numerous Damage Types. Pick from balloon engulfing flamethrowers, long range flak artillery, to more experimental munitions like acidic gas clouds to arcing bolts of electricity. Learn what combination of guns work on each ship to carry out a variety of strategies from disabling enemy engines, taking out balloons, or going in straight for the kill. Piercing—Highly effective against armor and mechanical components like engines and guns. 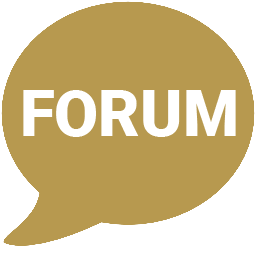 Explosive—Once the hull armor is down, it will rip the hull to shreds but little else. Shatter—Extremely effective against mechanical components, but ineffective against everything else. Flechette—For those who like popping balloons. Fire—Wreaks havoc on balloons and the hull. Less effective against armor. Impact—What happens when your pilot misbehaves and crashes. Deals a handful of damage to balloons and hull.